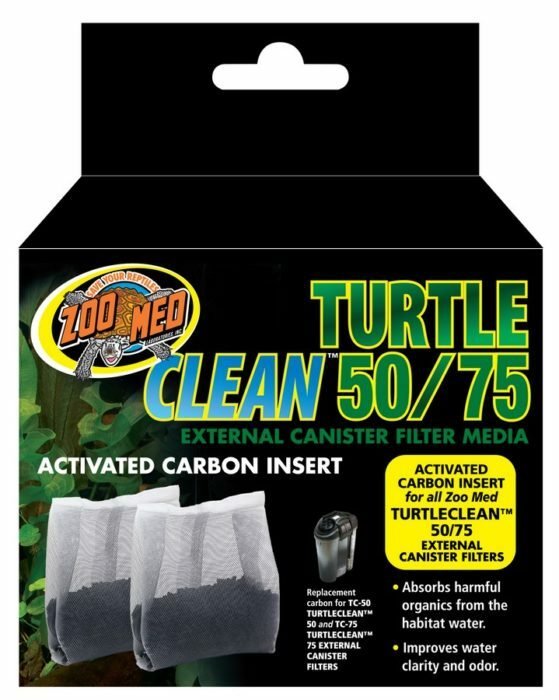 Turtle Clean™ 50/75 External Canister Filter Media | Zoo Med Laboratories, Inc. Zoo Med’s activated carbon filter media is made from the highest quality carbon available for superior absorption of ammonia waste. High ammonia levels can be deadly to aquatic turtles. Activated carbon is one step in reducing ammonia in your turtle habitat. We also recommend weekly water changes of at least 20%. When adding tap water (after a water change) make sure you add Zoo Med’s ReptiSafe® to remove chlorine and chloramines. Absorbs harmful organics from the habitat water.